Work can be a hostile and uncaring environment for people with a compassionate and thoughtful personality. The corporate world can be competitive, and that can sometimes be challenging for someone with a caring nature. Good thing, there are hundreds of careers and positions in companies that value a caring disposition. Below are the top four professions for such kind-hearted individuals who tend to give more compassion and understanding towards other people. The HR department has a wide range of responsibilities but one of the fundamental principles that underpins its operations is caring for company employees. This means everything from peer-to-peer support to social event coordination and equality training. 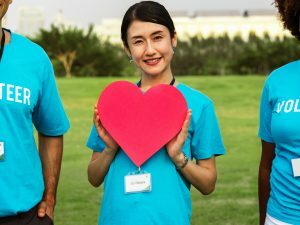 If you’re proud of your caring disposition, a role in human resources can help you apply your compassion in your day-to-day duties. The best individuals in HR departments help relieve stress and support staff in need. Teachers are known for being caring and inspiring. They are respected all over the world for exciting young minds and igniting the curiosity of their students. Teachers of special needs students are one of the most dedicated educators. They help their students achieve their potential despite their learning challenges. You can gain a special education credential by taking an online course, which will help you hone your teaching and caring skills. You don’t have to be a doctor or a nurse to apply your caring skills to those in need. There are many careers in the health sector, including plenty of office roles, that you’ll enjoy where you can give back to the people around you while at work. Nursing and other caregiver roles are the most hands-on, allowing constant contact with patients. This will allow you to apply compassion and kindness. Your loving nature will bring a little more sunshine into the lives of your patients. NGOs (Non-Government Organizations) are groups that fill in the gaps left by governments in the provision of aid and the protection of rights of people around the world. Oftentimes, NGO workers are involved in crucial support work for impoverished communities or those who’ve suffered disasters in their lives. But there are also NGOs that work in the complicated realms of human rights law and international diplomacy. Your caring, compassionate nature can be put into good use by any NGO. These are some of the best careers for caring individuals. But there are literally hundreds of other such opportunities that can help you maximize your giving spirit wherever you are! After all, the world can use a little kindness every day. Our virtual assistants can be a good addition to your company. Contact us to find out how we can work together!